In the face of a very challenging year for those living in and out of town, Schute Bell would like to take this opportunity to sincerely thank the Brewarrina community for their continued support. With our office now celebrating its first year in trading, our business has grown dramatically thanks to you. 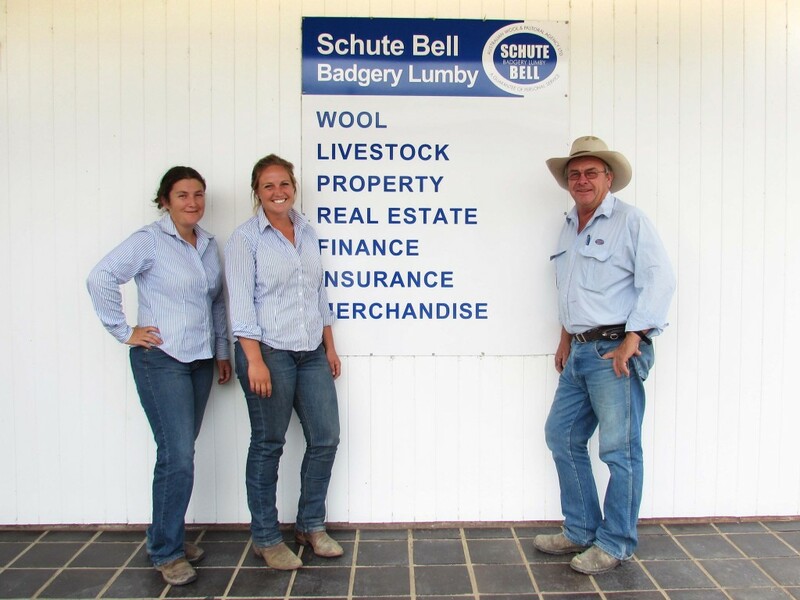 We are pleased to be able to continue to offer assistance with your Wool, Livestock, Residential & Rural Property Sales, Property Management, Finance and Merchandise. With a wide range of products and services and the backing of an established pastoral agency we can help to provide you with up-to-date market news and feedback helping to make your decisions count. We were encouraged when NSW Primary Industries Minister Katrina Hodgkinson and former Brewarrina Shire Council Mayor Matthew Slack-Smith came to visit our office earlier in the year wishing us well. The Schute Bell stand at the Brewarrina field day was well supported and we felt a very worthwhile activity. Brian has now taken on the role of the coordinator of the Brewarrina Field Day. With your greatly appreciated continued support we look forward to what the future holds.